On the set of “Morning Joe” Thursday, co-hosts Joe Scarborough and Mika Brzezinski struck back at President Donald Trump’s suggestion that Scarborough was involved in an “unsolved mystery” from his days as a congressman from Florida — specifically the tragic 2001 death of one of his interns. 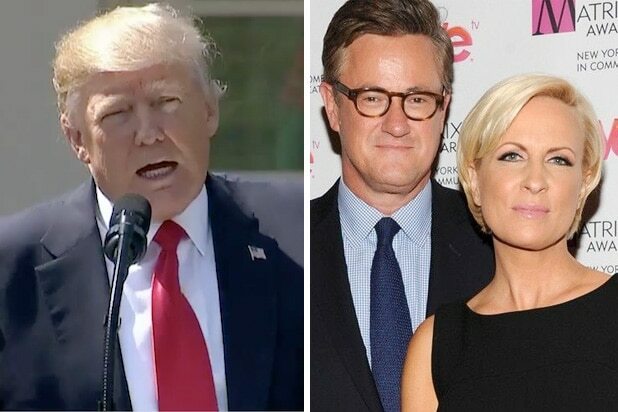 “The president was tweeting yesterday, among other things, the conspiracy theory about Joe being a murderer,” said Brzezinski, who then read a statement on Scarborough’s behalf because of his longstanding refusal to respond to Trump tweets. Scarborough was responding to a POTUS tweet on Wednesday after NBC News’ firing of Matt Lauer because of accusations of sexual misconduct. Trump seemed to be alluding to the death of Lori Klausutis, an intern who died as a result of complications suffered after she fell and hit her head in Scarborough’s Florida district office. Klausutis was later found to have an undiagnosed heart condition, according to local authorities. An investigation at the time found no evidence of foul play, and Scarborough was out of town at the time. But that has not stopped some conspiracy theorists from speculating about Klausitis’ death, and insinuating about Scarborough’s involvement with no evidence.